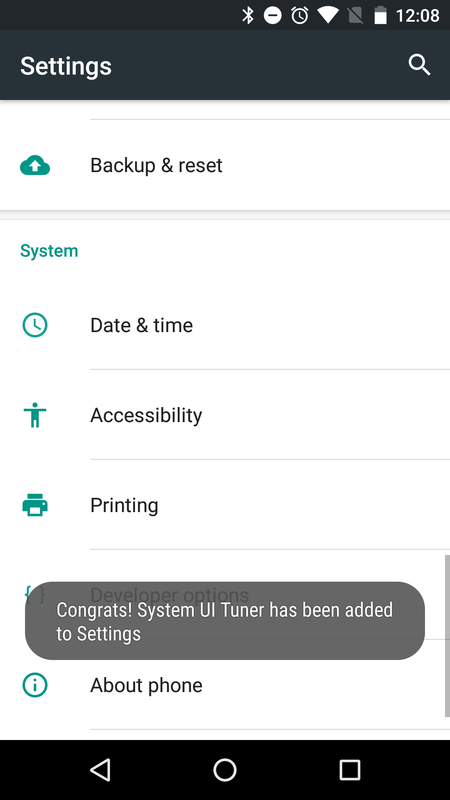 The System UI Tuner that was first introduced in Android M’s preview 1 and 2 is back again in Android 6.0’s preview 3, only it’s not as easy to find as it once was. In fact, Google has completely hidden the setting unless you perform a secret action to enable it. 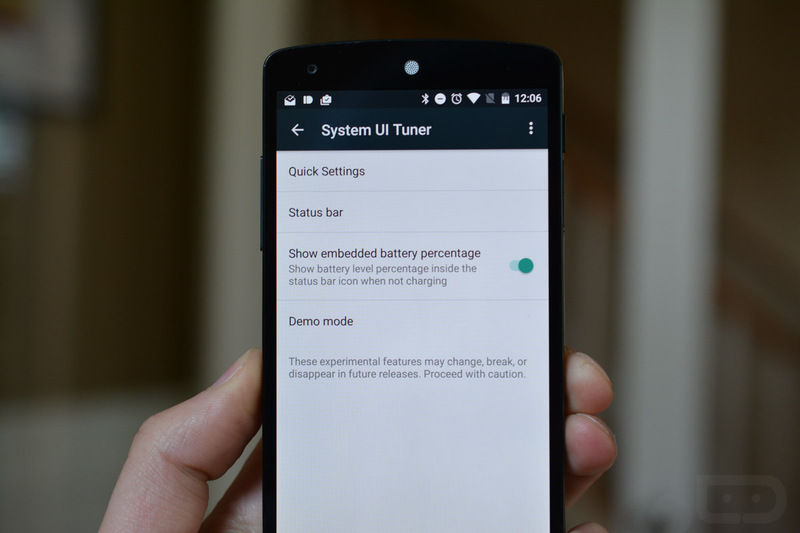 To enable System UI Tuner in Android 6.0 Marshmallow preview 3, pull down your notification shade and long-press on the Settings gear icon for up to 5 seconds. Once you let go, you should see a pop-up with the message “Congrats! 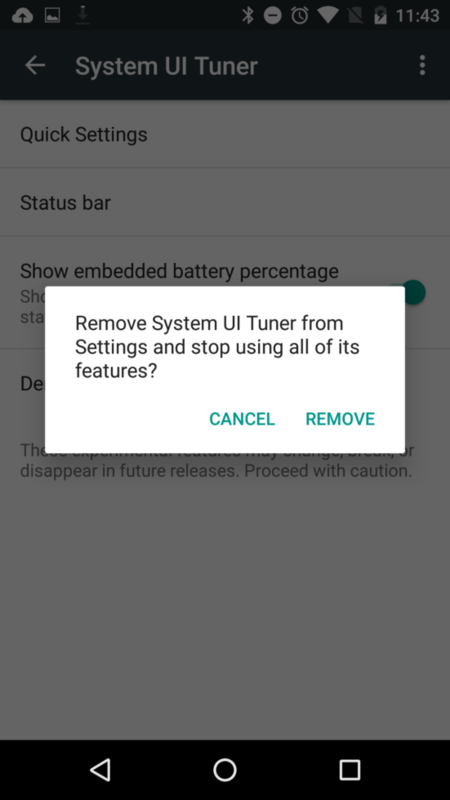 System UI Tuner has been added to Settings.” And as that message suggests, you can head into settings, scroll to the bottom, and find an option for System UI Tuner. With it enabled, you can then tweak your quick toggle tiles, add or remove items from the status bar, and even enter Demo Mode. To turn it back off, tap the action overflow menu from within the System UI Tuner section and choose to turn it off. You can also long-press on the Settings icon again for 5 seconds. 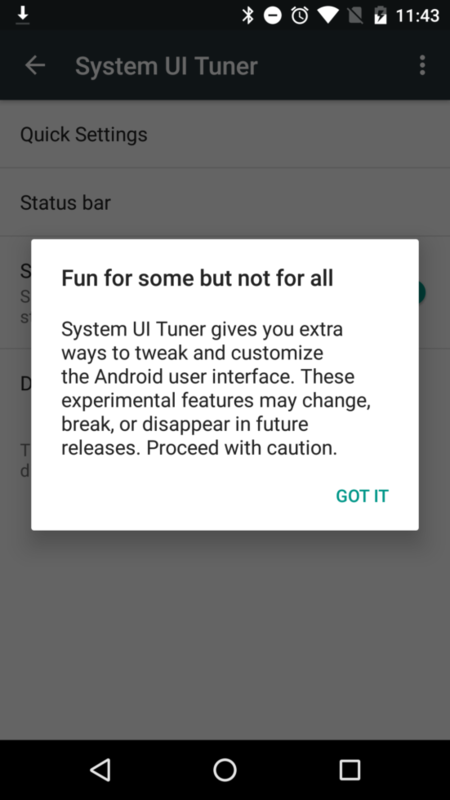 To read up on the System UI Tuner, be sure to check this post of ours.